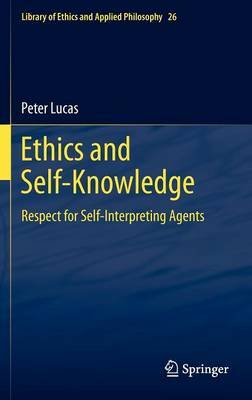 This book explores the theoretical basis of our ethical obligations to others as self-knowing beings - this task being envisaged as an essential supplement to a traditional ethic of respect for persons. Authoritative knowledge of others brings with it certain obligations, which are reflected in (inter alia) the moral and legal safeguards designed to ensure that certain information is `put out of play' for job selection purposes etc. However, the theoretical basis for such obligations has never been fully clarified. This book begins by identifying a distinctive class of `interpretive' moral wrongs (including stereotyping, discrimination and objectification). It then shows how our obligations in respect of these wrongs can be understood, drawing on insights from the tradition of philosophical reflection on recognition. The book will be of interest to anyone concerned with the adequacy of a modern ethic of respect for persons - particularly in applied and professional ethics.